Keeping your online data and identity private is an uphill battle, but with the anonymity network Tor, you have a pretty decent line of defense from prying eyes. But while Tor is great for desktop users, since they can simply install a Tor browser or plugin, it's a bit more complicated on Android. The difficulty lies in getting all the data your device sends out pushed through the Tor network, which anonymizes by sending data through various servers around the world. Before installing the three apps needed to get Tor up and running on your Android device, you need to first make sure it's rooted. Additionally, because the required apps are not found on the Google Play Store, you'll need to make sure you enabled app installation from Unknown sources. Once you have root access, you'll be able to download and install OrWall, Orbot, and Orweb to get the full Tor experience on your phone. Developed by Swiss privacy activist Cédric Jeanneret, OrWall is essentially a firewall for your Android that will force all of your apps (or just the ones you select) to use the Tor network to transmit all of their data. 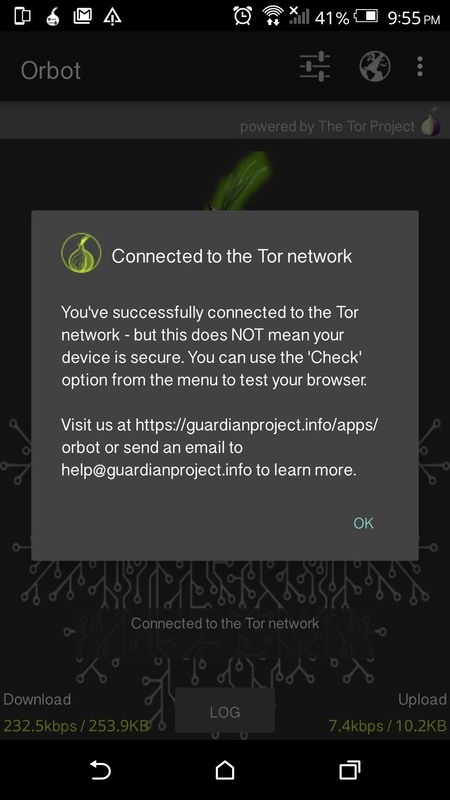 If an app is unable to use the Tor network to access the internet, then that data connection will be blocked. After installing the APK, complete the set up wizard and reboot your Android to activate the background process. 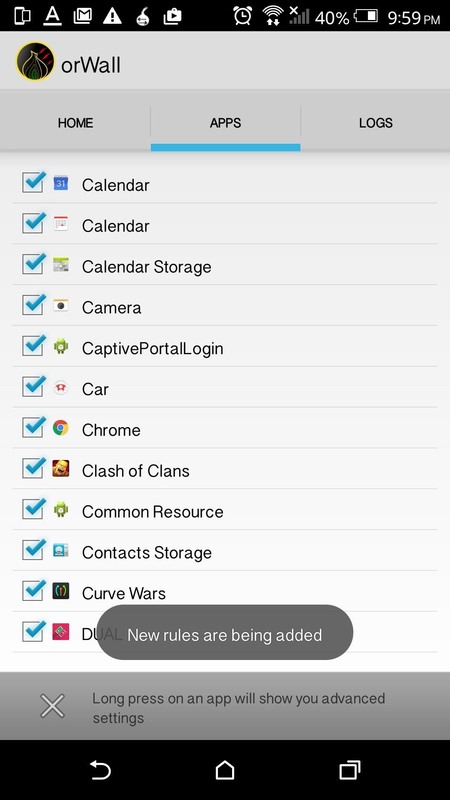 When you're back up, you can open the Apps section of OrWall to begin selecting which apps you would like to have use the Tor network. 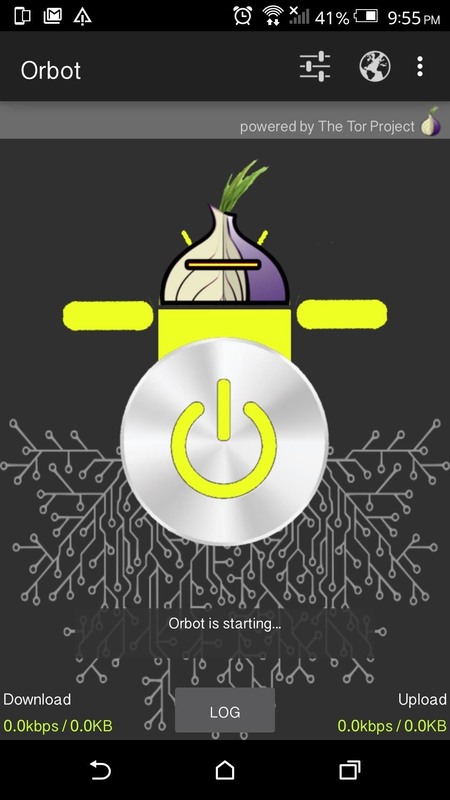 In its simplest form, Orbot, by the great people over at the Guardian Project, is the connector between your device and the Tor network. It facilitates the passage of data from your apps to the Tor network, but it can only do so with apps that support data being sent through a proxy. Because of that limitation, it's necessary to have both Orbot and OrWall installed on your device, since OrWall will help with apps which do not have proxy support. The first time you open the app, you'll have to complete the set-up wizard, but afterwards, all you have to do is long-press the Power button in the center to activate Orbot. If at any time you want to change your Tor Identity to a different IP address, you can swipe across the main screen, which will come in handy if you don't want to stray on the same IP address for too long. Last up we have the companion browser the developers over at the the Guardian Project created for Orbot, called Orweb. While Orbot creates the connection to Tor, Orweb is what actually lets you use it to surf the web. Since your data will be bouncing around through the vast labyrinth of international Tor servers, it will feel like your connection has slowed down, but that this the price you must pay for anonymity. As an added bonus, Orweb can also bypass most network restrictions so you can finally get in some quality Reddit browsing even through your office's firewall. 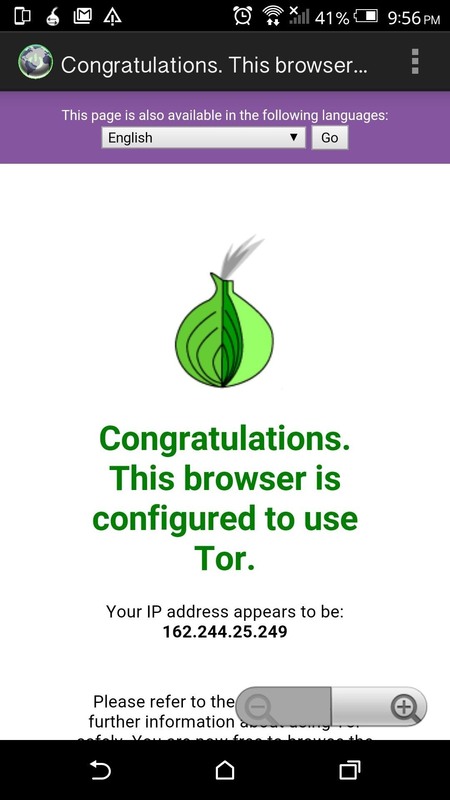 There is no setup required to begin using Orweb—just open the app and wait for the homepage to display a "success" message letting you know that it has been connected to the Tor network. 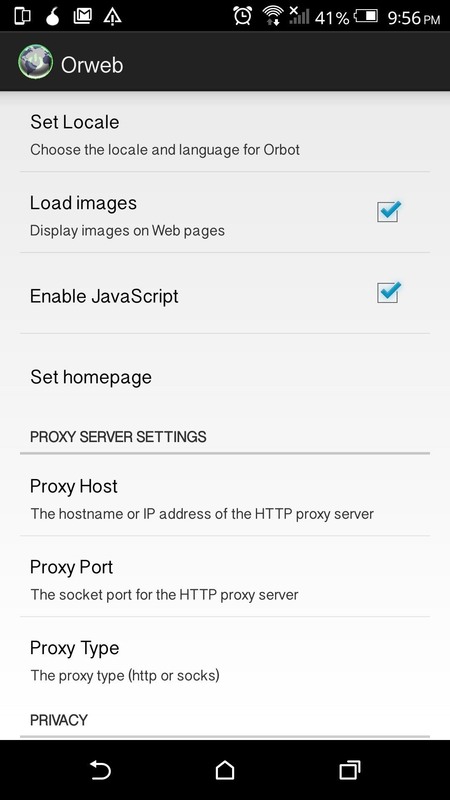 The Guardian Project has also been working on an improved version of Orweb named Orfox, which adds features like tabbed browsing and a way to properly request mobile versions of websites. However, Orfox is still in its early stages and not supported on Lollipop devices, but if you're still on KitKat, be sure to give it a try. With these three apps, you'll be able to keep most of your data secure, but if the dozens of security breaches and NSA scandals over the past few months have told us anything is that no one's data is ever 100% secure online. While Tor does a great job at rerouting and masking your online presence, you may also want to check out my guide on removing Google from your Android as well. Do orWall and Afwall+ play nice together? You should use one or the other. Having both would cause issues with your data connection. I believe you are right. I have to do alot of reCaptchas while browsing with tor on InBrowser. "Good wholesome trustable" companies don't seem to want your business or potenial $ if they cant steal something from you to sell while you shop. Pioneer RadioOne car dvd/app strange enuff has a keystroke recorder and even stranger it has internet access that sends out info while running in the background. I was warned by gadgetggaurdian app it was possible then it caught it trying to send out data. I have all feedback and data share rejected or off. Strange days in the business world.